The following is a list of foods you must avoid if you REALLY are serious about achieving the body of your dreams. In this list you will find some foods that you are probably already aware are sabotaging your weight loss results. However, you might also find a few of these foods on this list quite surprising! Do you have these foods in your kitchen cupboard? If so, then perhaps it’s time for a spring clean. White bread is simply a waste of space. It provides very little nutritional benefits. Instead it spikes your blood sugar levels and turns you into a fat storing machine. It’s not only the bread that causes the weight gain issues. Have you ever lathered your delicious white bread with jam and peanut butter? A recipe for disaster. You saw what it did to Elvis? Chips are very high in fat and calories. In fact one serve of potato chips has around 10 grams of fat plus a ton of carbohydrates that are stripped of their nutritional goodness. Worse yet, once you pop it is hard to stop thanks to the high salt content.It can be extremely hard to control your portions when the salt fix takes over your brain. However, chips also provide a sugar rush as many popular chips contain around 5g of sugar per serving. A tastebud overload that is sure to sabotage your weight loss journey. Cookies can pack a huge amount of calories in a very small surface area. Filled with butter, sugar and simple carbs this is definitely something you should avoid if you want to lose weight. Why not create your own healthy, delicious cookies without all of the nasties. They still taste great. However they are not as convenient. Can you make sacrifices and put the time in the kitchen to create a healthy alternative? These popular drinks are marketed as though they are required to prepare, replenish and recover from your busy schedule. However they are very high in sugar which makes them very unhealthy. Basically they are dead calories. If you want to replenish eat fruit and veges. They come with the vitamins, minerals and electrolytes plus fibre. If your thirsty choose water. Spruce it up with a little lemon and switch it up now and then with soda water. Don’t be tricked into thinking that frozen yogurt is a health food. It has very little protein compared to regular yogurt and is full of sugar. Sorry, but lathering your food with ketchup may be sabotaging your weight loss efforts. 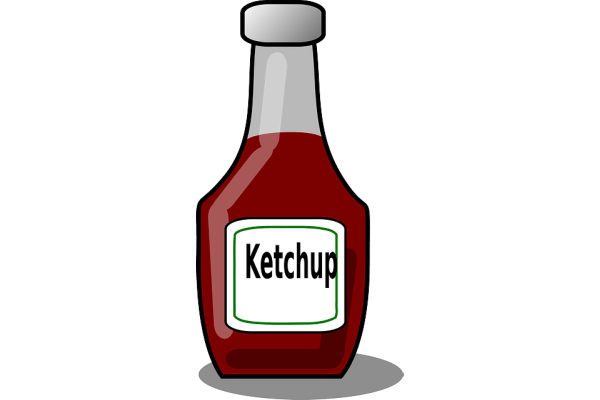 One of the main ingredients in ketchup is high fructose corn syrup. 1 teaspoon of ketchup can contain 3 grams of sugar. When was the last time you only had one teaspoon of ketchup. These calories add up. Why not try a low sugar alternative instead or perhaps make your own tomato salsa. Margarine contains trans fat. Trans fats are the worst fat you can put in your body. These fats damage the heart and beyond. Get rid of this one asap. Yes, it may be tough to go cold turkey. But hey, how bad do you want to lose that stubborn body fat? Microwave popcorn is much like the variety you get from the movies, LOADED with butter and salt. It is so easy to put away a huge number of calories in a short time. Substitute for air popped popcorn. But remember, keep an eye on those portions. Soda is commonly a major source of unnecessary calories in the common american diet. Soda offers no nutritional value. It just makes you fatter. So go pour out those bottles in your fridge and then pour yourself a glass of cold water. Success tastes good doesn’t it! Get used to it.. It can be extremely difficult to find a breakfast cereal that isn’t loaded with sugar. Any that have colour to them are more than likely loaded with sugar. To be safe go for unprocessed option such as weetbix and oats. Recent studies have suggested that artificial sweeteners might actually make you hungrier. So once again. Stick to water. So are you REALLY serious about losing weight? Can you sacrifice these yummy foods and substitute for healthier options? 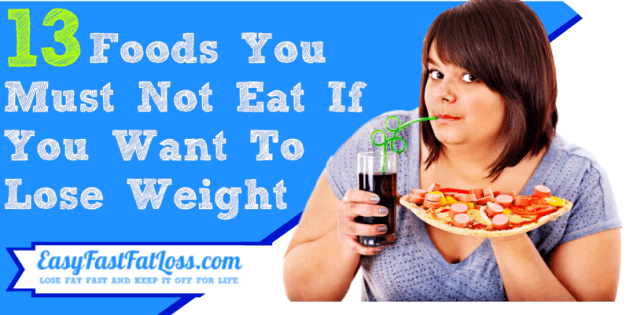 Can you stop putting food on a pedestal and stop eating these foods that are sabotaging your weight loss journey. Start small. Just make a couple of healthy substitutes this week and maybe a couple more next week. It won’t be easy but you can do it. Consistency is key!